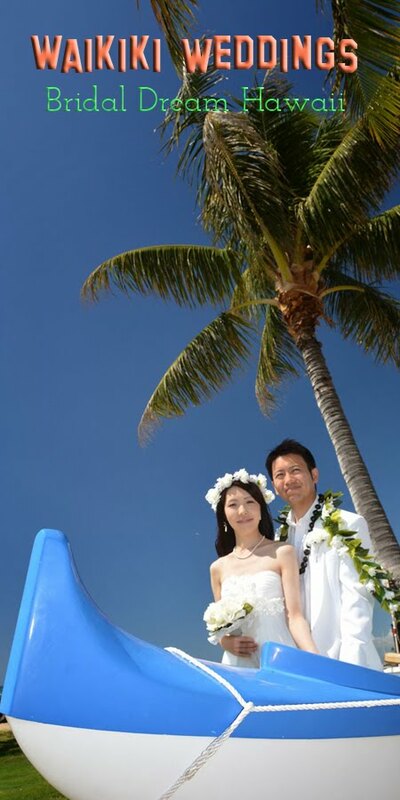 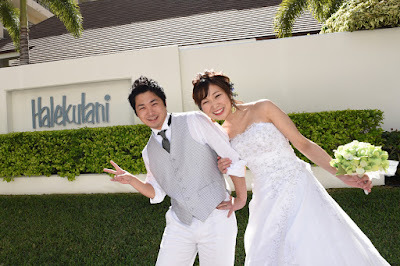 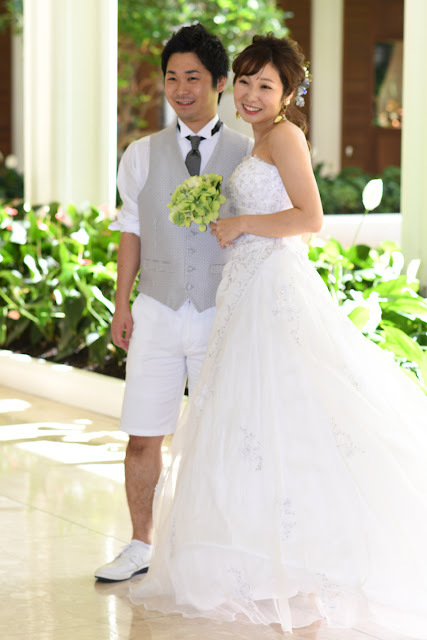 Handsome couple from Japan shoots Hawaii wedding photos at Ala Moana Beach with Photographer Robert. This spot has one of the best views in Honolulu. 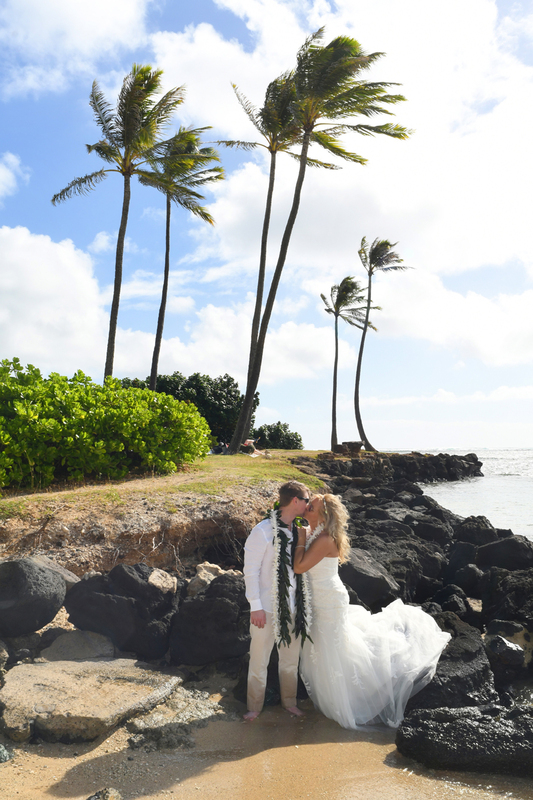 Groom tenderly kisses lovely Bride's hand. As it should be. 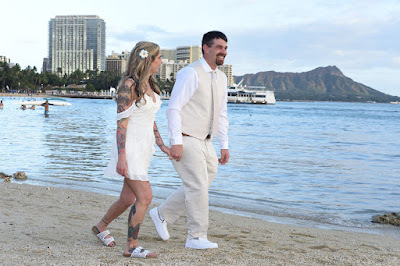 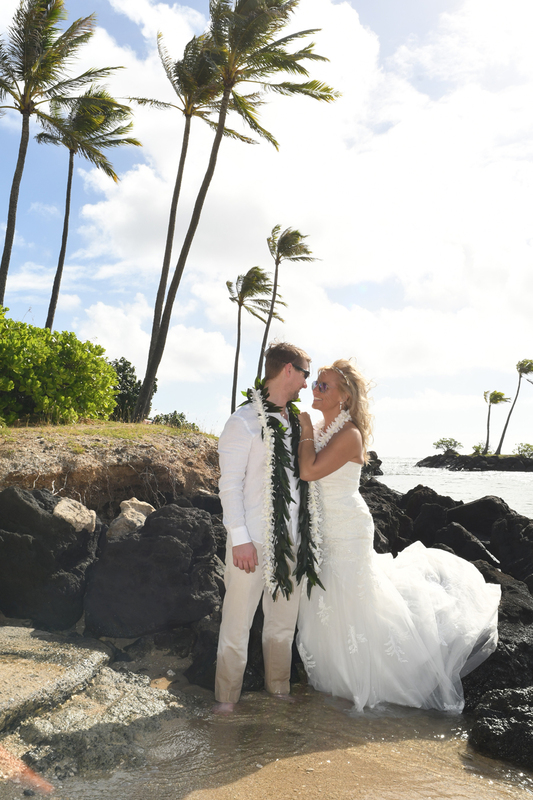 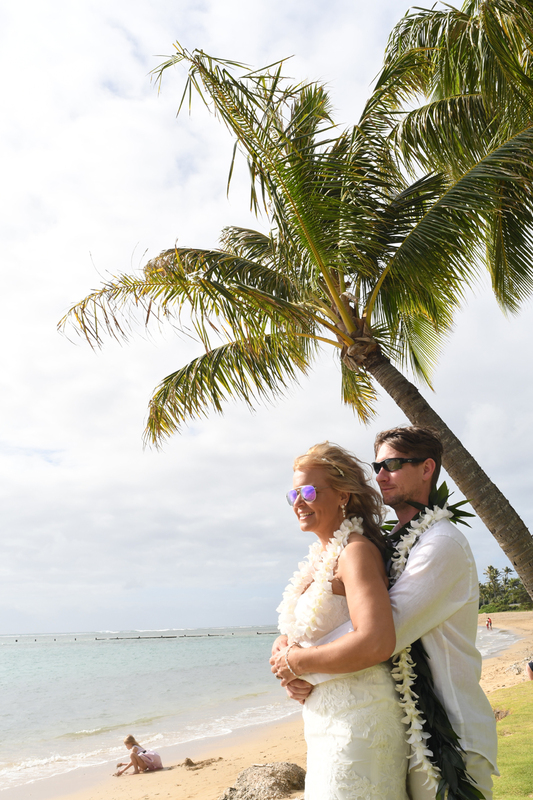 Stunning photo, Amazing wedding photography on the Island of Oahu. 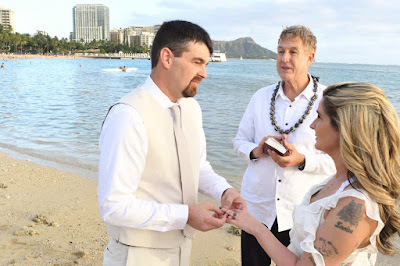 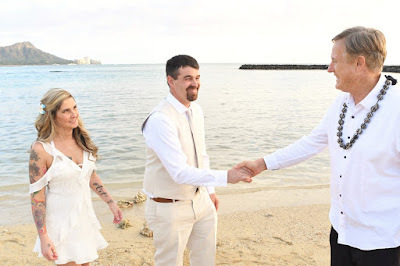 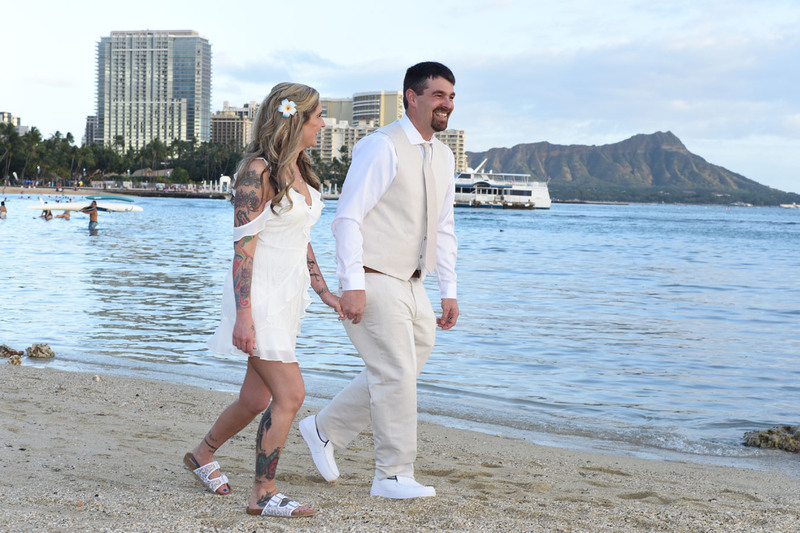 Hawaii Minister Rev Chris performs Waikiki Wedding as Arthur and Starlet exchange rings. 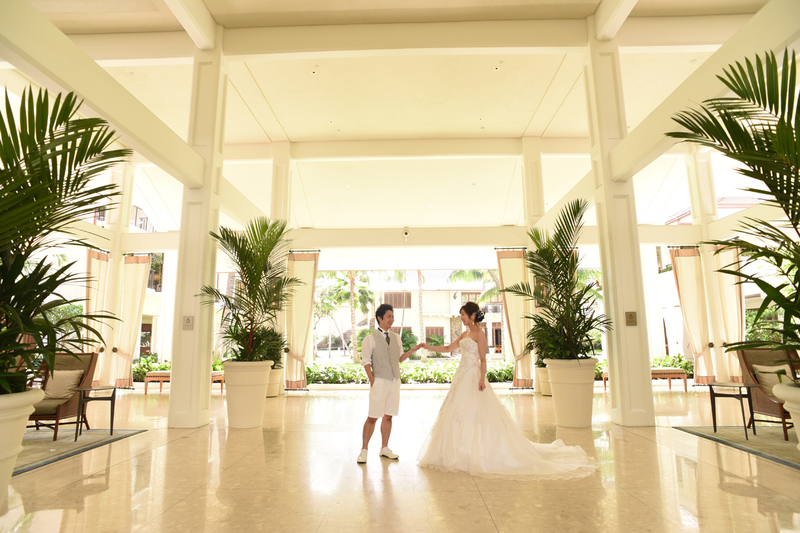 Oahu Photographer Robert likes to keep a couple photo props in his handy camera bag. 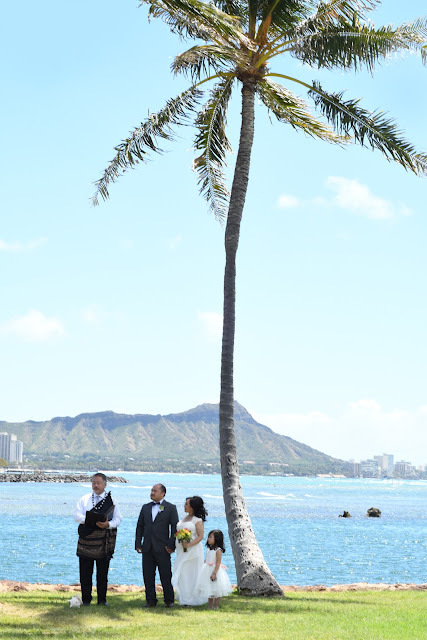 Awesome view of Diamond Head at this spot on Duke Kahanamoku Beach. 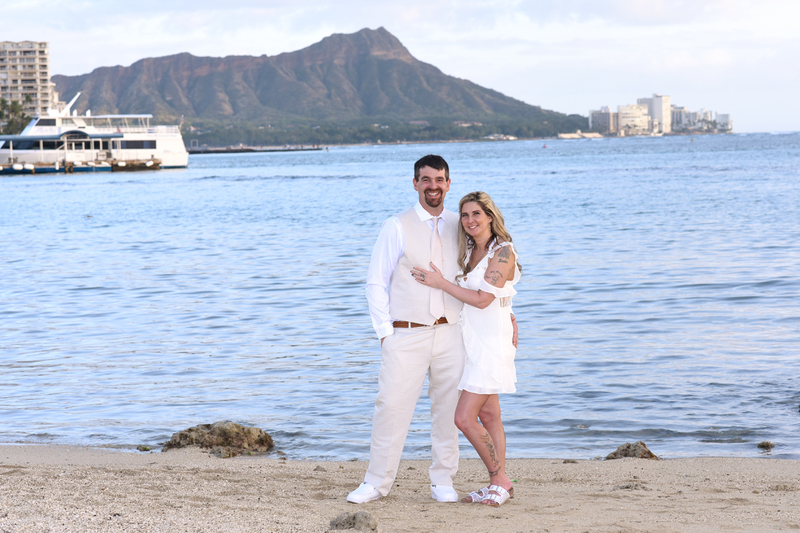 Amazing Waikiki sunset at Ala Wai Beach, just a brief walk from ceremony spot. Complete wedding packages also available!